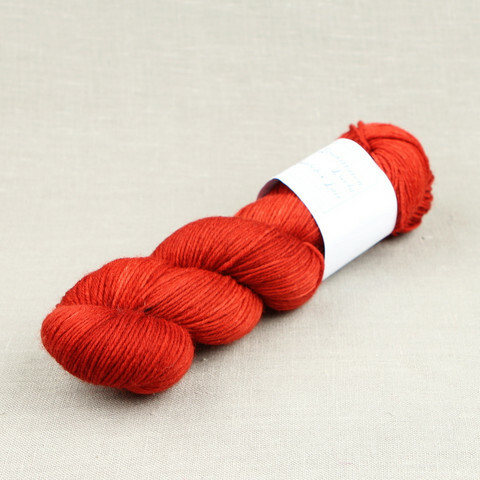 This yarn has been dyed in shades of warm red. The colorway "Paprika (Bell Pepper)" is included in the regular colors of the Lair's color charts. Recommended stitch gauge in stockinette stitch: 20-34s/10 cm(5 to 6 stitches per inch).